Using your Spanish immersion skills, sip on some homemade horchatas in a Spanish horchatería like this one in Spain! Spanish immersion has been at the forefront of my mind lately, more often than usual (and not just because I'm writing this article!). My five year old niece just started at a dual Spanish immersion school here in Minneapolis this fall, and on her school's letterhead is 'building global citizens' (a term I wasn't familiar with until recent years). Now she is still not interested in Spain Baby Wearing Group and her global citizenship starts before she even sets foot outside the United States, and she'll be ready to take on our global world. How fortunate is she to start her bilingual journey at such a young age!? While mine started at a mere 17, I can only imagine where my language skills would be if I had ten more years to my Spanish fluency. While we aren't all fortunate enough to have a bilingual primary school at our disposal, it doesn't mean there aren't options! It's never too late to learn a foreign language (especially Spanish), and there's no better way to do it than immersed in an environment that forces you to speak it, whether in Spain or in South America. From the depths of the Go Overseas website, I've rounded up the best Spanish immersion programs based off of three categories: Off the Beaten Path (my personal favorite), Big City Dreamin', and La Vida Tropical. Crank up the salsa music, grab a glass of ice cold horchata, and check 'em all out below! Marvel at the fantastic colonial architecture and vibrant, bright colors in La Antigua during your down time! Despite the initial frustrations and lack of language skill breakdowns, *the* absolute best places to learn a language and a culture are those that aren't riddled with tourists and filled with English speakers. Why, you ask? Why would I put myself in a position where I can only communicate through hand motions at first? I'll tell you what... the best experiences and strongest life lessons I've learned are from when I lived places where I've been one of the only English speakers for miles around. You're forced to think in another language, think as the locals do, and truly grasp what it means to be someone that lives in that particular area. Plus, you'll get more bragging rights and you'll walk away with knowledge that not many have... which is impressive for your educational, professional, and personal portfolio! Na'atik is top on this list because of three main reasons: 1) you get one-on-one Spanish instruction, 2) you learn about Mexican and Mayan culture, and 3) it's highly affordable. Their mission is to create bridges amongst English, Mayan, and Spanish speaking students to better understand one another, all while preserving the local culture. On top of that, they offer Cultural Workshops in conjunction with local nonprofits so you can take your new language skills for a test drive while taking in the local art, dance, culinary arts, visiting a local butterfly farm, or assisting with environmental research. Meaning Highest Level in Spanish, Màximo Nivel boasts on providing the best language and culture instruction in all of Latin America. This intercultural center hires only the best teachers with BA and MA degrees in education while maintaining international accreditation by the Ministries of Education in both Peru and Guatemala. La Antigua ranks high out of their three programs (others in Costa Rica and Peru) because of its UNESCO World Heritage Site status, well protected Mayan ruins, and the conveniences of a large city without high crime. Màximo Nivel also has a number of university partnerships, so your classes can count toward your degree! Mérida, Venezuela makes this list because, more often than not, most people don't include Venezuela on their radar when it comes to Spanish immersion courses or to travel. However, they're missing out on this bustling university city while surrounded by indigenous cultures. Jakera sets itself apart with its traveling classroom where adventure tourism, Spanish immersion, and volunteering in the community coexist in one happy marriage. During the same week, you'll get to advance your Spanish skills, hike, trek, snorkel, and climb, and learn to merengue and salsa. Your days start with four hour Spanish immersion classes focusing on listening, reading, speaking, and writing, and then applying what you learned in adventure sports contexts. Perfect for the thrill seeking wannabe Spanish speaker! Gaudí's Casa Milà is a marvel not to be missed in Barcelona! While I just promoted the value of learning in a smaller, road-less-traveled path for Spanish immersion, not all of us are created equal. Some of the best language instruction can be found in the big city. Learning to navigate a large arena, making your way around, immersing yourself in the hustle and bustle is just as rewarding as a smaller town immersion...if you can keep up! Barcelona is one of the top destination spots for students to master Spanish (and Catalán, the regional language!). And, who wouldn't want to be surrounded by Gaudí's creations (Park Güell, Sagrada Familia, Casa Milà, to name a few) and fantastic depictions of Spanish culture? Barcelona is an immense playground on learn-by-doing with endless amounts of opportunities to find what trips your trigger outside of the classroom to apply your newly minted Spanish skills. CEA Global is a well established organization with a long history of supporting students on their Spanish fluency journey. One of their top program attractions is living like a local to fully absorb the Spanish flair...olé! 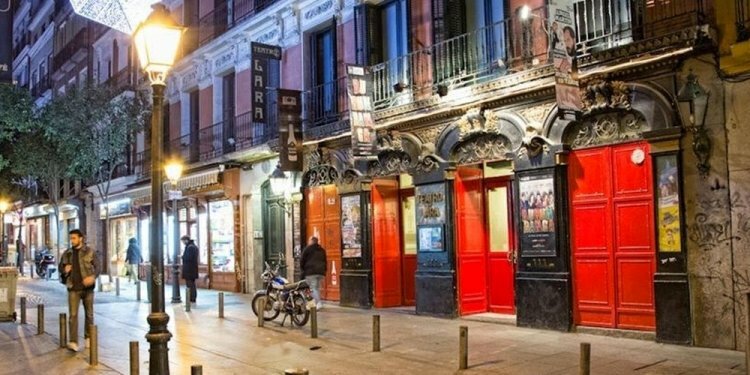 Right in the heart of Bs As, Expanish provides the entire immersion package: excellent teachers, small class sizes, and sound academic methodology to excel your Spanish acquisition. When you're not in their classroom between three of the best neighborhoods, take advantage of their tango classes, excursions to Igaz ú Falls, volunteer opportunities, and pick-up soccer games. Come visit Expanish to learn why they were awarded best Spanish School in 2012 from Study Travel Magazine!